Oslandia has built a tool to improve Internet coverage in trains. 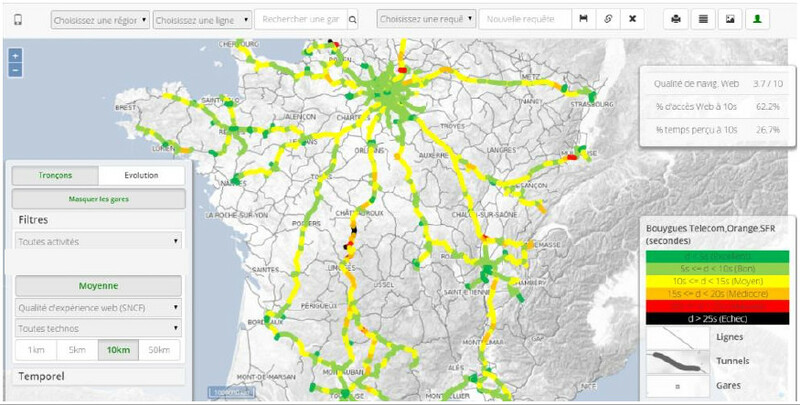 Control of the digital direction of the SNCF, the will was to build in iterative mode an application, via open source tools, allowing to analyze and visualize (DataViz) measurements of data. 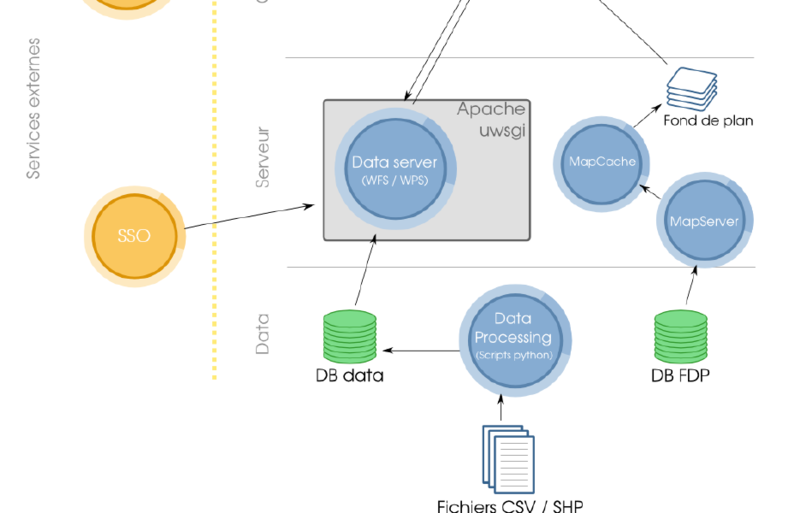 A Web application built with Python (WPS), JS and OpenLayers. Background maps are OpenStreetMap and the railways built with mapserver. The challenges of reporting and the relevance of visualizations have been an important challenge to offer users a reliable decision tool.